June 8 marked a decisive policy shift for Bolivian President Evo Morales’ government: lawmakers passed legislation allowing for increased hydrocarbon exploration in the country’s few remaining “protected areas,” most notably the Madidi National Park. Transnational and foreign petroleum concessions already overlap 75 percent of Madidi National Park, prompting fears over increased environmental degradation in the country. The controversial implications of such a law have precipitated a debate over whether President Morales has prioritized economic growth over a previous emphasis on environmental and indigenous preservation. The unprecedented growth and stability under the administration of Morales and his party, Movement for Socialism (MAS), give legitimacy and support for such environmentally dangerous legislation. Most noteworthy, extreme poverty has shrunk from 35 percent of the population to just 18 percent since Morales took office in 2006. Still, his conflicting economic and environmental policies have led to devastating environmental consequences for Bolivia. A policy both environmentally sustainable and economically promising may be challenging to implement, but is by no means impossible and by all means necessary. 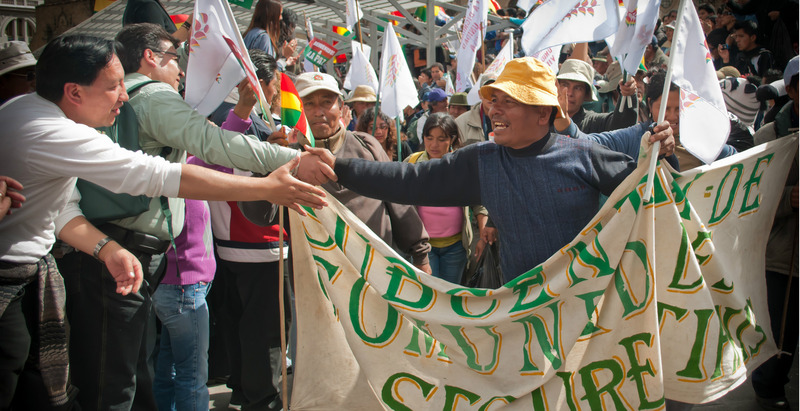 Bolivia–President Morales in particular—used to be a beacon of environmental activism. At the 2009 Copenhagen Summit, Morales arose as a much-needed voice for environmentalists worldwide, making ardent calls to limit temperature increases in the next century to just 1°C. Furthermore, Morales demanded that an international court on climate change be established–one whose primary function would be to prosecute the “greatest” criminals against the environment. Moreover, in 2010, Bolivia’s proposal to make access to water a universal right was approved by the United Nations (UN), situating Bolivia as a model of environmental activism. The UN General Assembly went so far as to name Morales the “World Hero of Mother Earth,” a grandiose title that precipitated the 2010 “Law of Mother Earth,” a historic bill passed by Morales’ government guaranteeing rights for the Earth itself. The law specifically enshrines seven rights to Mother Earth: life, environmental diversity, water, clean air, equilibrium (or the right to a natural balance in the ecosystem), restoration, and pollution-free living. Perhaps most groundbreaking is the right of an individual to bring forth an issue to court on behalf of Mother Earth. However, the track record for this innovative legislation is less than stellar, making the so-called “World Hero of Mother Earth” an inconsistent environmental champion. Immediate Noncompliance: A Consequence of Economic Development? Bold rhetoric on the international stage and unprecedented domestic laws only have gone so far in the implementation of environmentally sustainable economic growth for Bolivia. The Law of Mother Earth, seen initially as a heroic “win” for environmentalism, has been challenging to solidify in an extraction-based economy. Franz Chávez, a Bolivian correspondent for Inter Press Service, explains that without “quantifiable targets that would make it possible to assess [the Law of Mother Earth’s] implementation,” little stands in the way of dangerous extraction operations in the country’s most vulnerable areas. Lawyer Victor Quispe explains that companies involved in extraction typically lack high regard for environmental protection measures, and furthermore, understand that the Law on Mother Nature lacks explicit requirements. 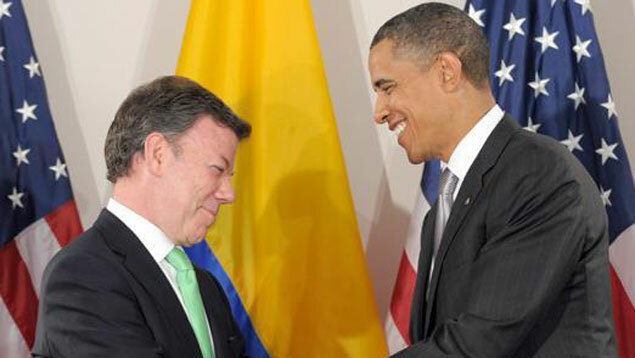 Perhaps most alarming is the Morales administration’s support of environmentally destructive projects. In 2010, the same year that the Bolivian legislature passed the Law on Mother Nature, Morales firmly supported the construction of a highway that would cut through Territorio Indígena y Parque Nacional Isiboro Sécure (TIPNIS), a project universally condemned by local indigenous tribes and urban populations alike. Later that year, the government supported bids to build dams, explore petroleum resources, and increase settlement in Madidi National Park, which at the time could have affected at least 80% of the region’s biodiversity. The typical response to these hypocrisies by MAS government officials has been pragmatic with a “national twist,” says TIME correspondent Jean Friedman-Rudovsky, because though environmental degradation occurs in projects under the nationalized sectors, money is directly funding education and health programs. However, not only has the government disregarded its own environmental regulations, it has also ignored the voice of the indigenous community so critical to its election and popularity. Despite the obvious challenges of economic development without negative environmental impacts, the inconsistencies in Morales’s policies are troubling, and pose dangerous implications. Under the Morales Administration, Bolivia enjoys an expanding and stable economy. A May 2015 study shows that GDP is increasing at above 5 percent, up $34 billion USD from 2014. Poverty has been slashed during Morales’ presidency and a significant bump in the minimum wage has helped increase the GDP per capita. Officials base these improvements on its socialist policies such as the 2006 nationalization of the petroleum industry, whose six billion dollar revenues were funneled into the public sector. Now, one in three Bolivians receives government assistance, ranging from educational scholarships to medical assistance. With such economic and social improvements, it is difficult to see the tragic repercussions of these environmentally destructive policies. The great expense at which environmental and social policies have been sacrificed demonstrates a reckless shift in the Morales Administration. The law permitting hydrocarbon operations in Madidi National Park is just one of many examples of actions contrary to the now largely symbolic Law of Mother Earth. In the name of economic expansion, the Madidi National Park, as well as 10 other national parks (over 77,000 acres in all), is being targeted for hydrocarbon explorations by foreign companies. Though the government requires that an Environmental Impact Assessment (EIA) be performed in any “protected area,” these assessments have become simple formalities heavily influenced by government policy. Greatly troubling is that environmental destruction is not exclusive to Madidi National Park. Already, 90 percent of Inao National Park and 85 percent of Pilan National Park overlap with oil concessions of foreign companies ranging from Brazilian oil giant Petrobras to Russian Gazprom. In an interview with COHA, prominent Bolivian environmentalist Teresa Flores listed fifteen dangerous government proposals –all with radical alterations of the environment. The construction of the Cachuela Esperanza Dam, which would flood all of the low-lying Beni region, is just one of numerous government projects intended to attract development, but at the cost of severe alterations to local communities and the environment alike. Additionally, Mongabay writer Alexandra Ellerback reported earlier this month on a recent agricultural summit, where farmers gained support for a measure that expanded legal deforestation from 12 acres to 49. A researcher at the Center for Investigation and Promotion of the Farmworker believes that this seemingly modest measure could deforest an astonishing 6.2 million acres. 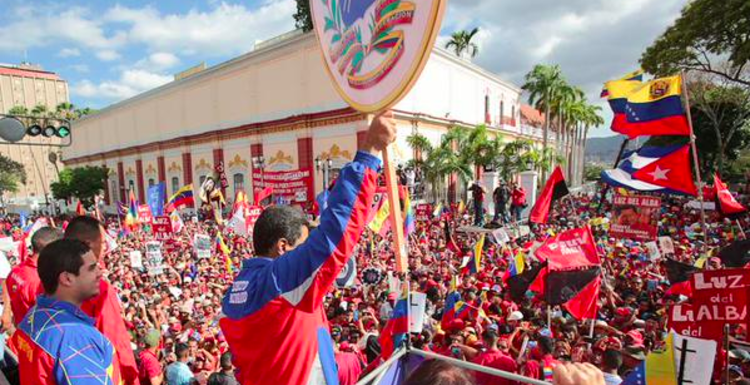 Government policy under President Morales reaches beyond the environmental realm and diffuses into the more complex Bolivarian political climate. Morales’ political ascent was marked by his unwavering commitment to ideals. Fearless rhetoric made him the voice of an unremittingly disenfranchised people. However, economic growth became the priority, and eclipsing original ideals of sustainable growth and cultural preservation. First, President Morales disregarded the unanimous rejection by indigenous communities of a highway constructed through TIPNIS, a startling departure from his Aymara roots and original leadership style. Then, a 2013 policy infamously known as the “Big Pardon” exempted landowners from being punished for illegal clearing of lands before 2011. Recently, the government has shown support for the fracking industry, a practice universally condemned for its dangerous consequences on water sources. This is, not to mention, coming in the wake of regulations permitting increased hydrocarbon operations throughout the country. Moreover, environmentalists and indigenous groups’ pleas often go unnoticed by the government. A controversial 2013 law on legal personality, enforced on unfair and vague terms, bars NGOs from freedom of formation if they cannot declare their “contribution to economic and social development.” Flores explains that the result of such actions is that “people fear to criticize the government,” a terrifying sign of a breach in civil liberties. All of this evidence points towards government inconsistencies and, more troubling, violations of the government’s landmark Law on Mother Nature, the very legislation intended to protect such actions against the environment. The unfortunate truth for Bolivia is that economic growth has been in large part due to its wealth of natural resources that have been made available for exploitation. Bolivia has seen stability, both economically and socially, that is largely unprecedented in its modern history, rendering the loss of some environmental and cultural idealism acceptable. As Linda Farthing, a journalist with a focus on Bolivia, explains, “Morales’ administration provides a cautionary tale about the difficulty of achieving sustainability and genuine grassroots democracy in a country with a legacy of environmentally destructive natural-resource extraction and political instability.” Yet the societal improvements –including cash payments to children who stay in school and the mass construction of health clinics—come in conjunction with toxic runoff into natural water sources, as well as “alarmingly high” rates of mining accidents. A middle ground in such an economy is difficult to find, but other countries have found solutions that Bolivia could look to as a guide. Peru’s recently-announced Climate Action Plan, the first of its kind in South America, calls for a 31 percent cut in emissions through 58 distinct mitigation projects designed to address large sources of pollution such as waste management and deforestation. Because of the detailed and innovative plan created by Peru, Chris Wright, an Inter Press News correspondent, believes funding for such a Climate Action Plan will be attainable and furthermore, and serves as a model for other Latin American countries facing challenges in developing sustainably. A similar Climate Action Plan in Bolivia meant to encourage foreign aid would promote environmentally friendly infrastructure. However, Bolivia also needs an economy less reliant on contamination-ridden extraction industries to sustain its growth. A 2009 World Bank study on Bolivia emphasizes that “nonrenewable resources” such as those obtained in the extraction industry “are fated to diminish over time since they cannot be replenished.” Agreeing with this statement, Teresa Flores suggests investing in the economic potential of Bolivia’s biodiversity, but avoiding such destructive activities. Instead, she advocates investment into greater production of the native Bolivian livestock and food typically neglected of government resources in the past –industries whose marginalization have resulted in widespread failures like the death of over 10,000 llamas in 2014. Flores’ suggestions are viable and pragmatic alternatives to impractical and environmentally destructive industries dominating Bolivia today. Granted, these policies and suggestions are easier said than done. However, that does not mean Bolivia should continue economic growth at the expense of environmental and, to a lesser extent, social degradation. Morales entered office as a champion of the masses, advocating against heartless capitalism that destroyed cultural identity and the environment in the name of economic growth. But with rising standards of living and increasing GDP, he has sacrificed the exact qualities that made him so revolutionary at the advent of his presidency. By reintroducing his roots into economic policy, he and his administration could better implement sustainable economic growth. Hill, David. “Bolivia opens up national parks to oil and gas firms.” The Guardian, June 5, 2015. http://www.theguardian.com/environment/andes-to-the-amazon/2015/jun/05/bolivia-national-parks-oil-gas. “A new top regional economy has emerged.” The Worldfolio, June 2015. http://www.theworldfolio.com/news/a-new-top-regional-economy-has-emerged/3707/. Vidal, John. “Evo Morales stuns Copenhagen with demand to limit temperature rise to 1C.” The Guardian, December 15, 2009. http://www.theguardian.com/environment/2009/dec/16/evo-morales-hugo-chavez. Friedman-Rudovsky, Jean. “Is Bolivia’s Evo Morales Really an Environmental Hero?” Time, August 6, 2010. http://content.time.com/time/world/article/0,8599,2009004,00.html. Fromherz, Nicholas. “The Rise and Fall of Bolivia’s Evo Morales.” Foreign Affairs, October 18, 2011. https://www.foreignaffairs.com/articles/americas/2011-10-18/rise-and-fall-bolivias-evo-morales. Buxton, Nick. “The Law of Mother Earth: Behind Bolivia’s historic bill.” Global Alliance for the Rights of Nature. http://therightsofnature.org/bolivia-law-of-mother-earth/. Chávez, Franz. “Bolivia’s Mother Earth Law Hard to Implement.” Inter Press Service, May 19, 2014. http://www.ipsnews.net/2014/05/bolivias-mother-earth-law-hard-implement/. Chávez, Franz. “Madidi National Park and the Curse of Petroleum.” Inter Press Service, December 9, 2010. http://www.ipsnews.net/2010/12/bolivia-madidi-national-park-and-the-curse-of-petroleum/. Flores, Teresa. Interview with Council on Hemispheric Affairs. E-mail. June 17-19, 2015. Ellerbeck, Alexandra. “Bolivia’s aggressive agricultural development plan threatens forests.” Mongabay, June 8, 2015. http://news.mongabay.com/2015/0608-sri-bolivia-agricultural-development.html. Hill, David. “Is Bolivia Really Going to Frack ‘Mother Earth’?” The Guardian, February 23, 2015. http://www.theguardian.com/environment/andes-to-the-amazon/2015/feb/23/bolivia-frack-mother-earth. “Bolivia: Special Rapporteur Files Amicus Brief Challenging Ngo Regulations.” United Nations Special Rapporteur, May 22, 2015. http://freeassembly.net/rapporteurpressnews/bolivia-amicus/. Farthing, Linda. “The Two Faces of Evo.” In These Times, April 27, 2015. http://inthesetimes.com/article/17850/bolivias-president-the-two-faces-of-evo. Wright, Chris. “Peru a Shining Example for South America’s Climate Action Plans.” Inter Press Service, June 12, 2015. http://www.ipsnews.net/2015/06/peru-a-shining-example-for-south-americas-climate-action-plans/?. “Strengthening Bolivian Competitiveness: Export Diversification and Inclusive Growth.” The World Bank, 2009. https://books.google.com/books?id=66oXrWFZ6cUC&printsec=frontcover#v=onepage&q&f=false.